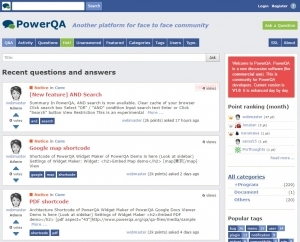 PowerQA is a development platform for managing Q&A community. It is forked from Q2A (V1.7.1). Most program code and various naming have been changed. And many issues are fixed and lack of features has been added. Question2Answer is a good product. Performance is also good. 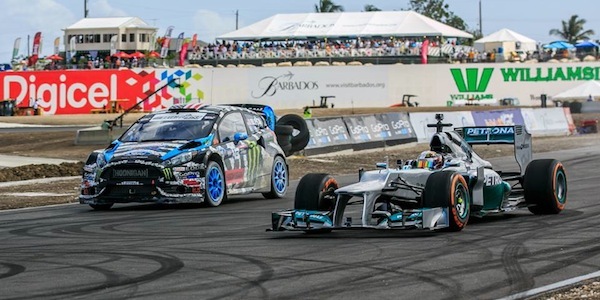 If Question2Answer is a sports car, PowerQA would be F1 machine. PowerQA is beyond Question2Answer in all aspects (Speed, Feature, Usability). Open source is very unstable mechanism. It may be broken well by small cause. And, organization that can be maintained by only donations is very rare. What about the actual society? Fisherman is living by selling fish to people who can not get a fish. Farmer is living by selling vegetables to people who can not get a vegetables. Software engineer is also same with them. We will ask for something always to the people related to this software. It might be something skill. It might be something effort. And, it might be money. We want to do simple things correctly and sincerely. You will experience a new (well customized) Q&A community platform. We welcome developers (PHP engineer, Markup engineer, Designer, etc). We think development site should be a place where exciting for engineers. For all of community site developers. ©Copyright 2019 PowerQA All Rights Reserved.